A little table tennis to start the weekend off right! yeah baby. 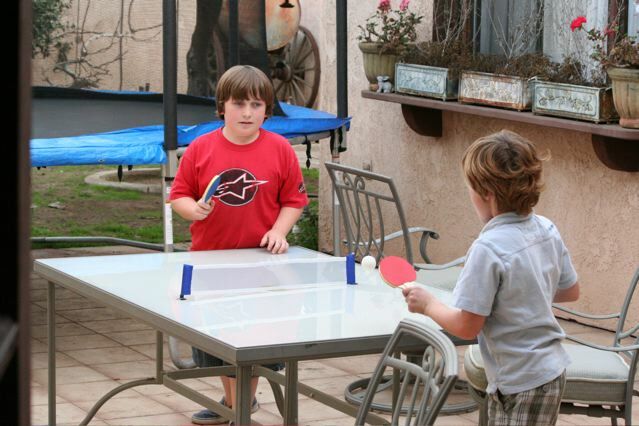 Joe’s friend, Luke came over and brought a Christmas gift (the table tennis set)he got from his Aunt. The boys had a ball. 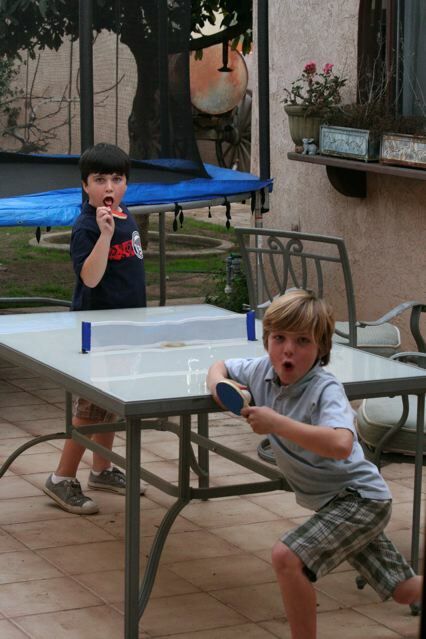 It’s Friday (the beginning of video game weekend) so they altered between table tennis and video games. Fun was had by all. Luke just lives a couple blocks away so we walked him home when his Mom called. They pretended to be spies making sure the Canadians didn’t invade! Oh man, I laughed…the canadians? where do they get this stuff!